Mary Ann Carmack completed her bachelor’s degree in 1973 and her master’s degree in 1978, both in kinesiology/physical education, at the University of Illinois. She taught in junior high, high school, and college settings in Australia and New Zealand before enrolling in the doctoral program in exercise physiology at the University of Oregon. It was there that she decided to combine her interests in health and fitness, clinical medicine, teaching, and research by pursuing a medical degree, which she received from the University of Chicago in 1988. Mary Ann is currently a physician of general pediatrics and pediatric infectious diseases at Palo Alto Medical Foundation in California, and an adjunct member of the clinical faculty in the Department of Pediatrics at Stanford University School of Medicine. She enjoys working with infants and children and their parents, and being involved in shaping attitudes and habits for a healthy life. To her, there is no more rewarding work than preventing serious childhood diseases, treating illnesses that do develop, and monitoring children’s growth and development. She shares her passion for child health with young medical professionals whom she mentors, and is actively involved in developing new knowledge about childhood health through clinical research. 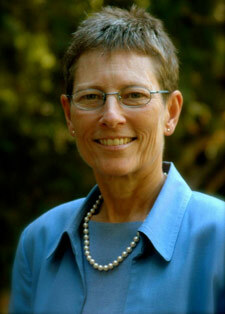 In addition to her medical practice, teaching, and research, Mary Ann is a member of the Board of Directors of the Palo Alto Foundation Medical Group, the Board of Trustees of the Palo Alto Medical Foundation, and the Board of Directors of the Lucile Packard Children’s Hospital at Stanford. She has published several articles on childhood infectious diseases in such journals as Journal of Infectious Diseases, Current Opinion in Pediatrics, Infectious Agents and Disease, and Journal of Pediatrics. She is a member of the American Academy of Pediatrics, the Infectious Diseases Society of America, the Pediatrics Infectious Diseases Society, and the Alpha Omega Alpha Honor Medical Society.